Webinars are still a popular online marketing strategy for selling high-ticket products. From establishing a deeper connection with your audience, to facilitating a highly educational experience, a webinar allows you to interact with your ideal client in a structured environment. Webinars are an effective marketing tool when they focus on providing your attendees an exceptional experience. Attendees leave the event not only excited about your company products or services, but also motivated to continue moving forward with your business and taking the next steps. 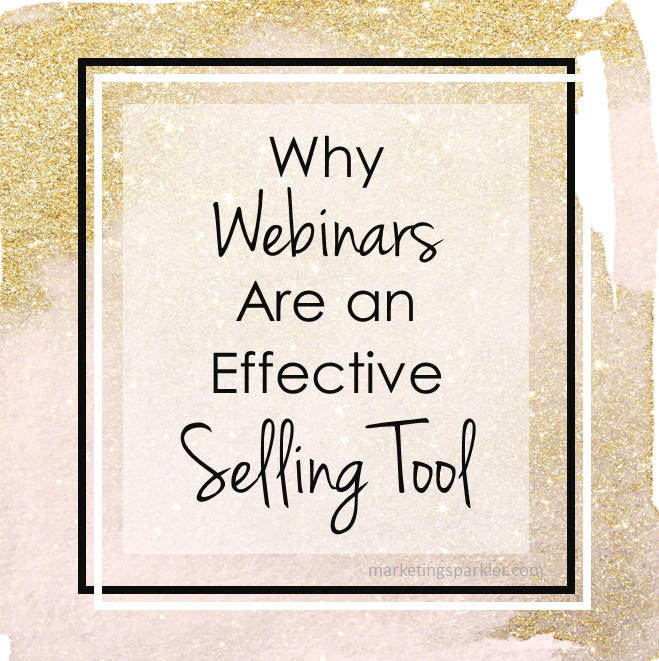 There are several reasons why business owners feel that webinars are good selling tools. Once you have a webinar system, they’re fairly easy to set up. They don’t cost much to put on. They leave you feeling excited about your prospects and customers – it’s truly rewarding to connect with your audience and to help them solve their problems. It’s fun to leave your audience excited about the solution you’re providing. And of course it’s pretty exciting to see those profits start rolling in as sales are made. Of course, the better your webinar and your systems, the more you’re going to sell. So let’s move forward and talk about the best practices you can leverage to monetize your efforts. But first, let’s give you a good overview to selling on webinars. Generally, online selling is a singular experience. Your buyer visits your website, they browse your content, and they decide whether to take the first step. Even after you’ve made a connection with a prospect and they become a subscriber and a lead, the buying process is often still a solo event – your customers are by themselves and you have no real-time ability to influence their behavior. Webinars are personal experiences. Not only are your prospects attending the event with you online, they’re with other people. When you attend a webinar, if the content is compelling, then you are engaged with the information, the presenters, and often times with the other attendees. They’re active learning experiences. As a business owner, this gives you a unique opportunity to connect with your audience. Not only are you able to tell stories and share experiences as you help them solve their problem, you’re also able to communicate your unique personality and voice. If you open up the webinar for questions, you are also able to engage personally with a few people. People buy for emotional reasons. They also respond to specific buying triggers and likeability, authority, reciprocity, and credibility are all triggers that you can tap into as you connect with your audience in a webinar. More simply said, we buy from people or businesses that we like and/or that we believe offer value or are authorities on a subject. Webinars are a great platform to tell stories and share experiences as you help people solve their problem. During a webinar, there are different methods you can use to keep your audience with you. Because let’s face it, we’ve all been in webinars where we check out half way through or worse, we click away. By delivering information that’s visually engaging, and by actively engaging with your audience member, everyone will feel involved and part of your event. Make it fun and interactive using polls, asking questions, and hot seat Q&A’s to keep your audience engaged. One of the main reasons that webinars are successful sales tools is that you’re able to capture your prospect’s attention for a significant period. Think about the amount of time someone may spend reading an email or visiting your blog. It may be under 60 seconds. However, with a webinar you have their attention for up to an hour, depending on the length of your event and how you structure your content. This is significant. It gives you much more time to earn their trust and to motivate a sale in a structured environment. Are you leveraging webinars as a selling tool? If not, you should be! Here are 8 ways to monetize your next webinar. To be most effective, your webinar content will be targeted toward a specific group of people at a specific stage in their buying cycle. That means tailoring your content to that stage in their cycle. For example, for consumers who are at the end of their research stage and are ready to make a decision, a demonstration webinar or an event that highlights the advantages of your products or services will be the content they need to make a buying decision. A webinar can step in and help transition prospects through your funnel faster. Webinars are an effective tool for getting a highly engaged audience that is interested in your information and your pitch…if you do it right. That’s what this template package is all about – helping you with creating your sign up page, your presentation, your pitch and more. 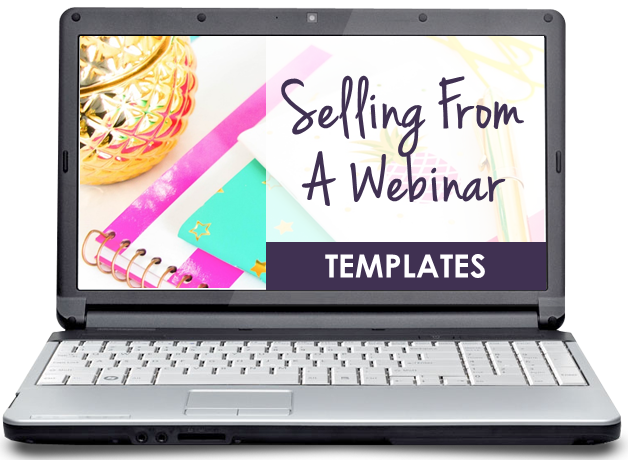 Click here to shop for “Selling From A Webinar” templates. Now that we can agree on the using webinars as a sales tool, you’re going to want to find ways to monetize your webinars to make them worth your time and effort. Putting on virtual events is fun, but it’s not without hard work. You should be compensated for the time you take to host events, and luckily there are lots of ways to monetize them. 1. Entry Fees – Make the event itself the money maker by charging for the event. When you charge for the event you’ll want to invest in the right technology to make the process easier, like Instant Teleseminar, GoToMeeting, or WebinarJam. These allow you to automate the process of charging and even in some cases replay your event automatically as a live event so that you can collect over and over again. This is particularly valid if you are hosting a longer, more extensive training, for example, a 2-3 hour webinar, and you are using the “recordings” monetization tip below! 2. Recordings – Use the technology available to you to record the event, then package it with other items you have for sale to increase their value. You can also sell the recordings for a lower fee to attendees or make it part of a package that people can buy up front for a different ticket price. 3. Transcripts – Get your webinar transcribed and create a report of the event. You can sell it just as is, a transcript, or you can make it into an eBook, a report, combine it with other writing to create a case study and more. 4. Upsell New Products – When you have an event, collect the registrants’ information up front so that whether they see it through and attend or not, you can market new products and services to them via the email list they are now on due to subscribing for your event. Make selling from your webinar a breezed when you pickup these “Selling From A Webinar” templates, a full soup-to-nuts package covering everything from a webinar planning outline, to structuring content, marketing the webinar, recruiting affiliates, and following up with registered attendees. Shop here for more info. 5. Cross-Sell Related Products – Using the event itself, as well as the sign-up form, welcome form, and other means, you can cross-sell other products that are related to the event or that go with the event. 6. Promote Affiliate Links – The products that you promote do not have to be your own; they can be products created by others in which you are part of their affiliate program. This is a great way to earn extra money from the registrants of your event. Looking for a way to sell affiliate products? Promote your affiliate links in your next webinar. 7. Automate It – Make money from the event over and over by replaying it “as live” many times over. You can sell tickets to it again and again, as long as the information is still current. There is no need to have a real live event each time. 8. Presell the Next Event – Use the current event to sell your next event by offering early bird discounts to fill the seats before you even announce it live to the public. This is an excellent way to determine interest for future events too. Finally, to make the most from your webinars, collect the registrants’ information so that you can follow-up with them. The follow up, even if you charge for the event, is what will make the difference in your ability to capitalize on hosting events so that you increase your income without more work. Use these fill-in-the-blanks “Selling From A Webinar” templates to ramp up your marketing and monetization efforts for your next webinar. From the webinar planning outline, to structuring content, marketing the webinar, recruiting affiliates, and follow up with registered attendees, you will have an efficient and profitable system for hosting your webinars. Shop here for the template package.